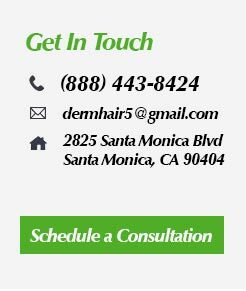 Women’s hair transplant in Los Angeles: Hair loss occurs in women as it does it men. Dr. Sean Behnam has a lot of experience in performing hair restoration for women and has performed over 3,250 hair transplants. About 30% of the procedures he performs are for female patients. The main procedures include filling bald spots, lowering the hairline or restoring eyebrows. Below are some of the most frequently asked questions about female hair loss and hair restoration. During the complimentary hair loss consultation with Dr. Sean, he performs a detailed exam to determine the etiology of hair loss and give you a comprehensive treatment option. I had a great experience with Dr. Sean. I was skeptical at first about what he could do for me, but after a consultation with Dr. Sean, I was well informed and impressed at the advances he’s made in hair restoration!!!!! Thank you! Are hair transplants performed successfully in women? Yes, below there are several examples, Before and After photo of women who had a hair transplant procedure. Re-establishing the hairline. After 1834 transplanted grafts placed at the hairline. Please notice how natural and densely packed it is. Front view, after 1,834 grafts placed at the hairline. All transplanted hair grafts placed in one session. Side view, after 1,834 grafts placed at the hairline. All transplanted hair grafts placed in one session. 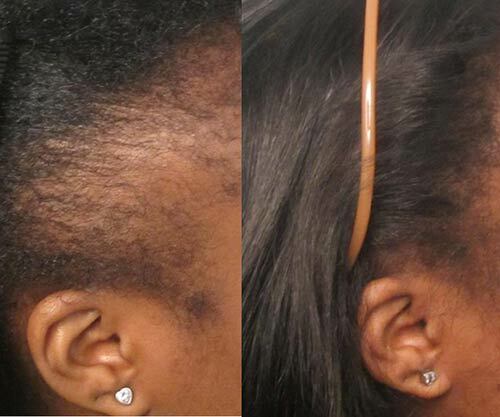 This woman received 1671 grafts (2956 hairs) along the front hairline. 1958 grafts / 4358 hairs placed along the temples and hairline. This patient received 1751 grafts on the temples/hairline to improve shape of the hairline and visible coverage of their hair. Results by Dr Sean Behnam, shown after 1 year of growth. This woman had 1830 hair transplantation grafts placed in one session. The blue line in the left picture indicates where the hair graft s were placed. This woman had ludwig class 3 hair loss. This women had 1830 hair transplantation grafts placed in one session. This woman had ludwig class 3 hair loss. 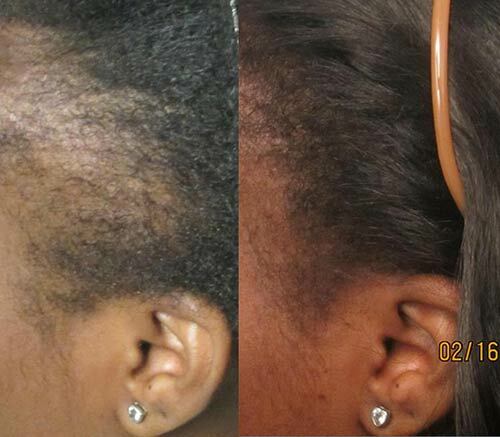 This women had 1,546 grafts placed at the hairline and mid scalp. Results after one year. This woman had 1935 hair transplantation grafts placed in the frontal and midscalp area. All grafts were performed in just one session. Same women as above but different preop picture (left). She had 1935 hair transplantation grafts placed in the frontal and midscalp area. All hair grafts were performed in just one session. Before and after 1,465 hair transplantation grafts placed at the hairline and temples. .
Before and after grafts to replace area lost by traction alopecia. 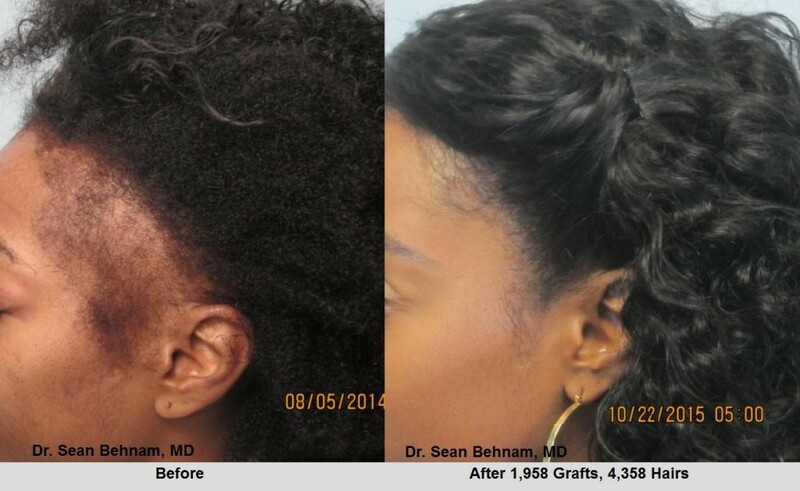 Dr. Sean is an expert in ethnic hair transplant . 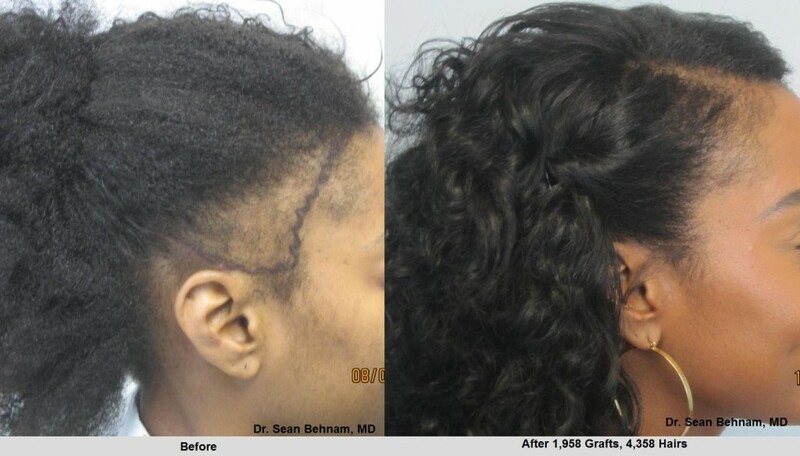 This women had 1,560 grafts placed in one session. Left picture is before the procedure and the right picture is one year after. Before and after 1,862 hair transplantation grafts placed at the hairline and midscalp. 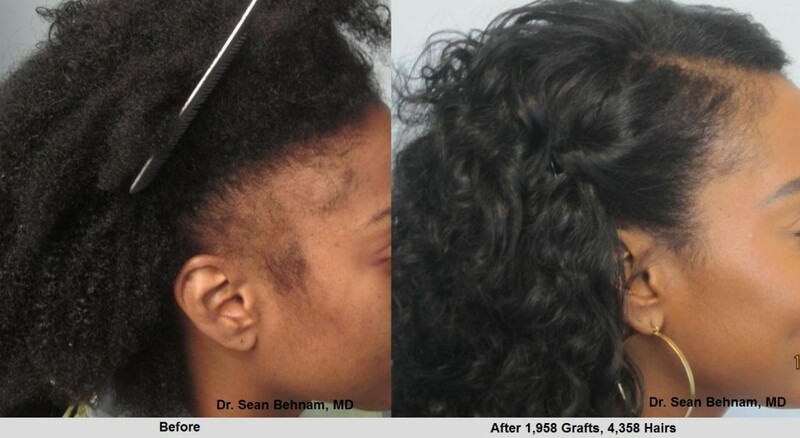 610 hair transplantion grafts placed in the right temple area to cover area of traction alopecia. Same as above picture now using boxes to demonstrate the areas where grafts were placed. 610 hair transplantation grafts placed in the right temple area to cover area of traction alopecia. Close up view of 610 hair grafts placed in the right temple area to cover area of traction alopecia. 595 hair transplantion grafts placed in the left temple. Same picture as above, now using boxes to demonstrate the area where grafts were placed. 595 hair transplantation grafts placed in the left temple. 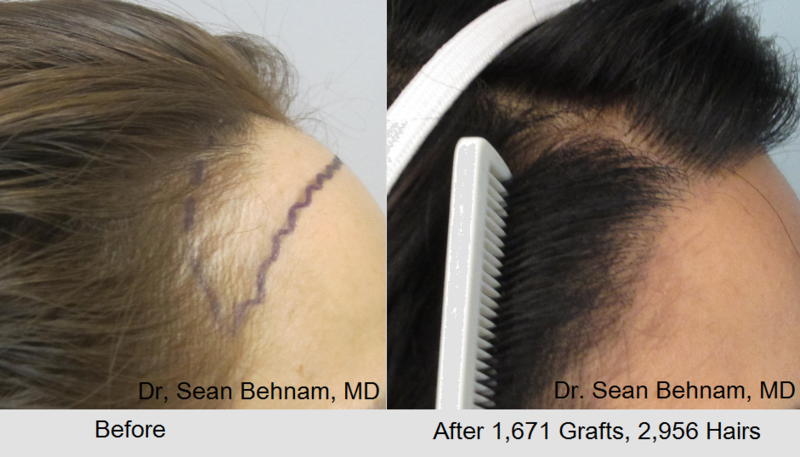 1,425 grafts placed at the hairline. Before & After, taken about 1 year apart. Scar revision; Before & After taken about 1 year apart. How is hair transplantation different in women than men? Hair transplants are more demanding in women because women have more healthy hair in the balding areas than men do. Thus, the doctor doing the procedure has to be more careful placing the transplanted as to avoid damaging the patients existing hair. This is one of the most important reasons that Dr. Sean dedicates himself to only one procedure a day. He is meticulous and makes sure every site is created to perfection. The result is an artistic transformation bordering on perfection. Why do women lose hair? Just like men, hair loss is genetic. There are also some medical conditions that can induce hair loss such as hypothyroidism and blood loss being the most common causes of the medical hair loss among women. Dr. Sean does a full examination including lab work to make sure there are no treatable etiologies that is causing a woman’s hair loss. What diagnostic tests does Dr. Sean perform to find the cause of hair loss in women? During the complimentary consultation, Dr.Sean performs a microscopic hair analysis to evaluate the skin as well as the shaft around the hair. This provides a vital information as to what is causing the hair loss, either genetics and other causes. He also performs other tests such as the “pull test,” which is indicative of a condition called Telogen effluvium. He also conducts a lab test including blood count, thyroid hormone level, and ferritin count to make sure that these lab values are okay. Based on one’s medical condition, he then recommends the best treatment option. Does Dr. Sean have video testimony from a woman who has had a hair transplant done? 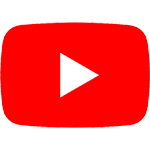 Yes, below is an example of video testimonial. It is 6 minutes long. 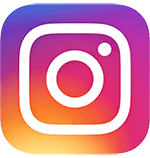 The video below is a FOX news coverage on latest treatments for women hair loss featuring Dr. Sean performing hair transplant on a women patient. What makes the woman a good candidate for hair restoration? 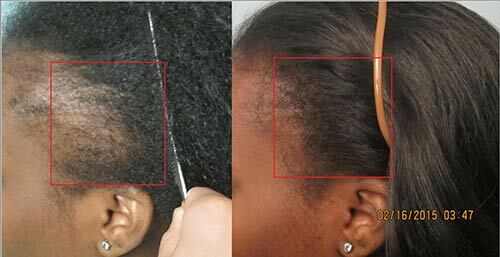 A woman who has a full healthy donor area in the back of the scalp is a good candidate. The donor area is the hair located on the back of the neck. 95% of the time, these hairs are not receptive to hair loss. As such, they are thick and have no thinning. But, before any hair restoration, Dr. Sean uses a densitometer to make sure they are not thinning. If they are not thinning, then the patient is a good candidate. If the hair in the donor area is thinning then the patient is not a candidate for hair restoration. Dr. Sean will then recommend other treatment options. The only way to determine this to have Dr. Sean examine the donor area with a special hand held microscope, which he does during every consultation. Often donor thining can not be detected by the naked eye. Are African-American women good transplant candidates? Yes. 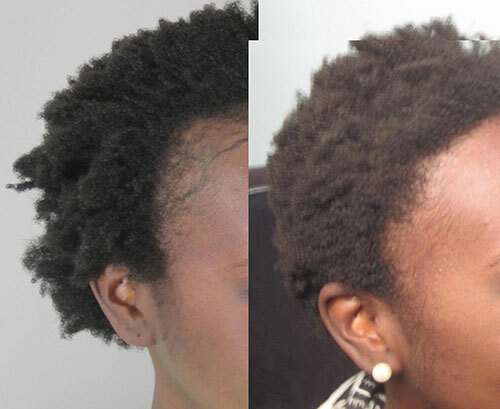 African American women can be great candidates for hair transplant. However, a curly hair type needs special skills and attention. It is also important that the doctor be experienced in doing African-American hair transplants. 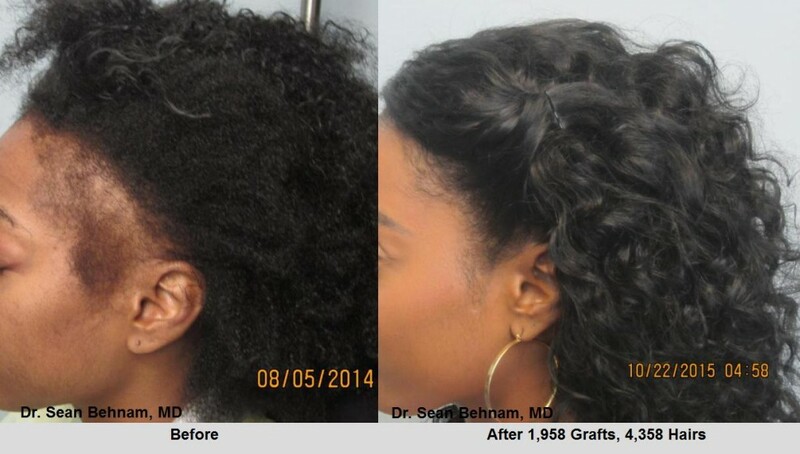 Dr. Sean performs a lot of hair restoration on African-American women. Due to the curly hair, the entire surgical staff must be very well trained. In our practice, our surgical technicians have a collective 30 years experience. How is recovery different for women than men? Because most women have a lot more hair than balding men, they have an easier time during recovery. They can usually cover the areas of transplantation. In our practice, Dr. Sean has fine tuned the process such that the hair transplant patients get very minimal to no bruising, scabbing, or swelling after the procedure. What is shock loss and why is it more common in women? 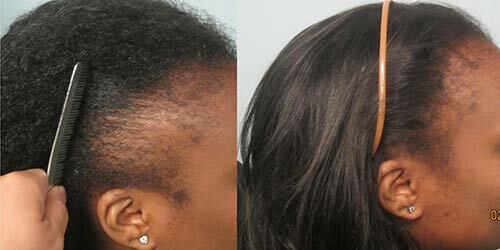 Shock loss is temporary shedding of one’s own natural hair due to pressure or impact of new hair being placed next to it. This is more common in women. However in our practice, we rarely see this. Why? Because Dr. Sean believes shock loss can be eliminated by dedicating more time and attention to each graft placements. In fact, in our practice it has only happened to 5 patients. In all cases the hair always grew back within few months. He takes his time and creates the sites very carefully, thus reducing shock loss. Other things that reduce shock loss is use of Rogaine after hair transplantation.